A 2-inch medal featuring stars and a sculpted wreath, with your full-color emblem in the middle. 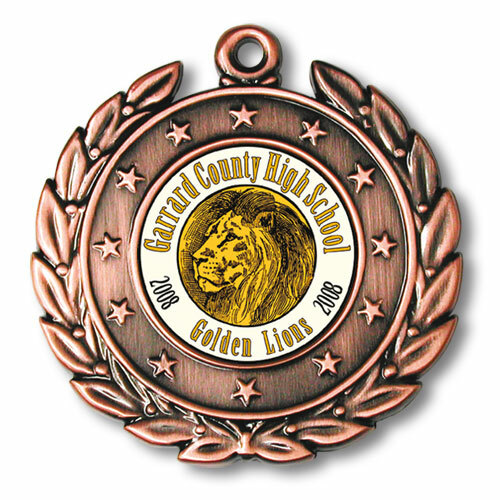 Each medal's emblem includes unlimited colors and a smooth epoxy dome. Can be shipped within one week, making them perfect for last-minute planning. Unlimited Colors are included in your custom emblem. An epoxy dome is included on your custom emblem.